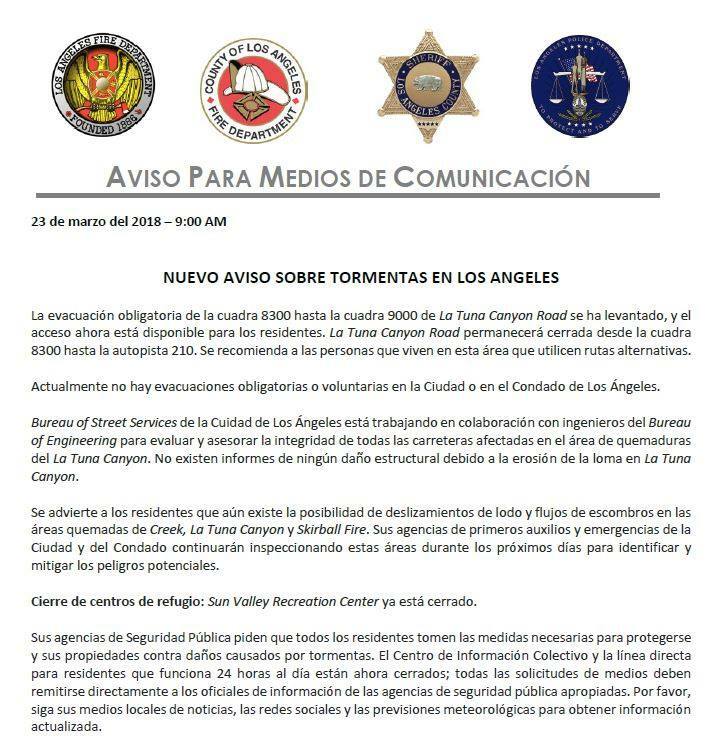 This site will serve as a hub for all public information released by the Joint Information Center regarding the current rain event in Los Angeles. As new information is released, it will be added to this article. Please continue to check here and follow official social media channels for the latest updates. Do you have QUESTIONS? For all PUBLIC INQUIRES PLEASE CALL 323-957-4594. 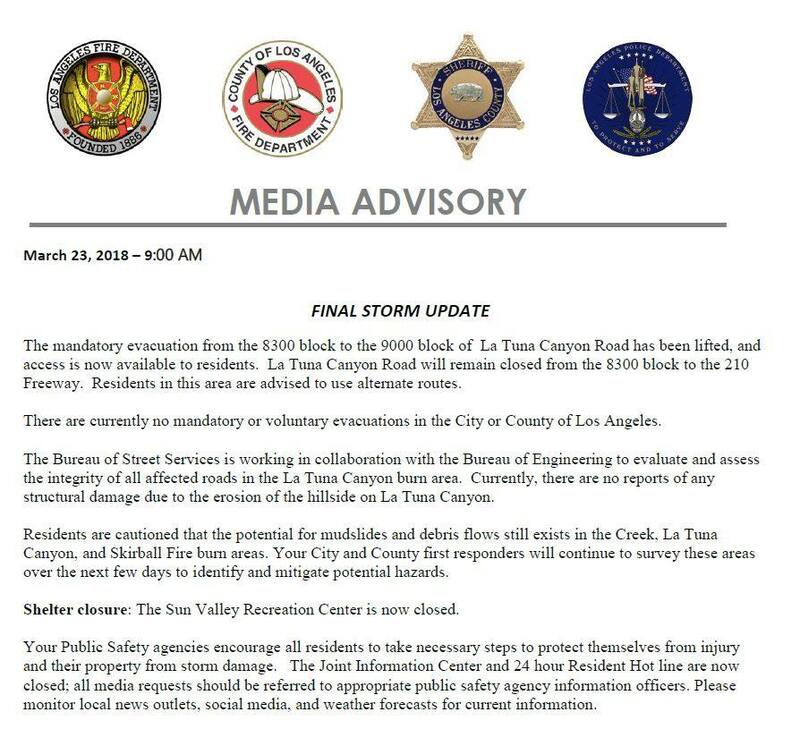 La Tuna Canyon Road remains fully closed in both directions between the 8300 block and the Foothill (I-210) Freeway. The follow Media Advisories are the final update from the Joint Information Center.